Overlock foot # 2A is ideal for producing serged seams and hems. It is especially well suited for neatening simple seams. 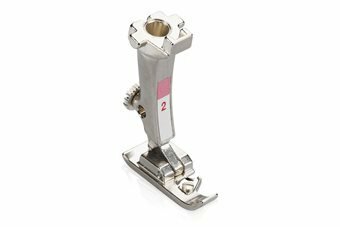 Use practical Overlock foot # 2 for your sewing projects to produce neat, elastic seams or stylish waistbands, quickly and easily.